Editor – The blog post titled “NGINX: SELinux Changes when Upgrading to RHEL 6.6 / CentOS 6.6” redirects here. This article provides updated and generalized information. The default settings for Security-Enhanced Linux (SELinux) on modern Red Hat Enterprise Linux (RHEL) and related distros can be very strict, erring on the side of security rather than convenience. Although the default settings do not limit the functioning of NGINX Open Source and NGINX Plus in their default configurations, other features you might configure can be blocked unless you explicitly allow them in SELinux. This article describes the possible issues and recommended ways to resolve them. [Editor – This article applies to both NGINX Open Source and NGINX Plus. For ease of reading, the term “NGINX” is used throughout. The httpd_t context permits NGINX to listen on common web server ports, to access configuration files in /etc/nginx, and to access content in the standard docroot location (/usr/share/nginx). It does not permit many other operations, such as proxying to upstream locations or communicating with other processes through sockets. To temporarily disable SELinux restrictions for the httpd_t context, so that NGINX can perform all the same operations as in non‑SELinux OSs, assign the httpd_t context to the permissive domain. See the next section for details. SELinux can be run in enforcing, permissive, or disabled modes (also referred to as domains). Before you make a NGINX configuration change that might breach the default (strict) permissions, you can change SELinux from enforcing to permissive mode, in your test environment (if available) or production environment. In permissive mode, SELinux permits all operations, but logs operations that would have breached the security policy in enforcing mode. In permissive mode, security exceptions are logged to the default Linux audit log, /var/log/audit/audit.log. If you encounter a problem that occurs only when NGINX is running in enforcing mode, review the exceptions that are logged in permissive mode and update the security policy to permit them. 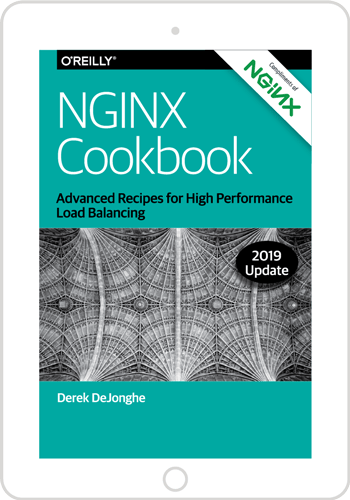 The output from audit2why indicates that you can allow NGINX to make proxy connections by enabling one or both of the httpd_can_network_relay and httpd_can_network_connect Boolean options. You can enable them either temporarily or permanently, the latter by adding the ‑P flag as shown in the output. The sesearch command provides more information about the Boolean options, and is available if you install the setools package (yum install setools). Here we show the output for the httpd_can_network_relay and httpd_can_network_connect options. If the output from this command says that a port is already defined, as in the following example, it means the port is included in another set. Do not reassign it to http_port_t, because other services might be negatively affected. When file access is forbidden, you have two options. # semanage fcontext -a -t httpd_sys_content_t /www(/.*)? This change persists across reboots. Reload NGINX with the new configuration. SELinux is a complex and powerful facility for managing operating system permissions. Additional information is available in the following documents.